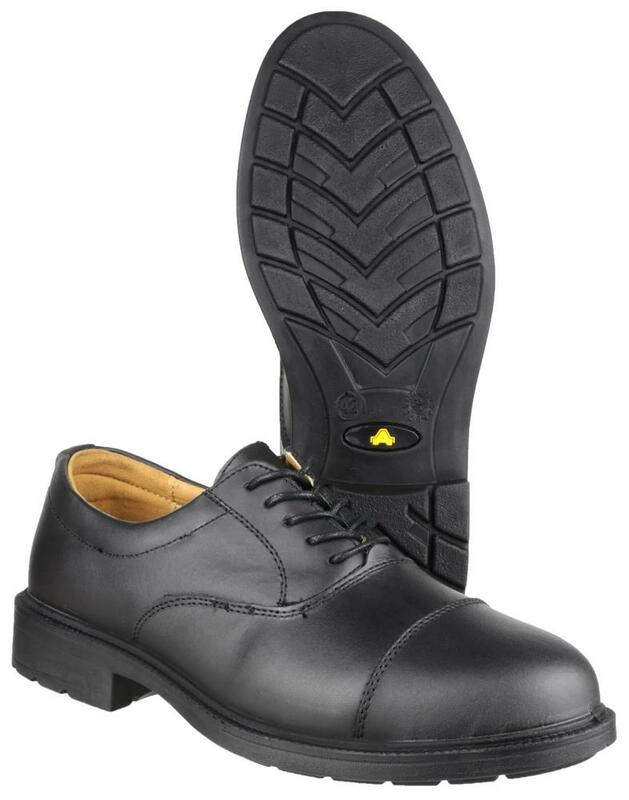 Formal-style safety shoe ideal for industrial office wear and uniform, plain front shoe crafted with a smooth leather upper, lace up front with 5 eyelets. 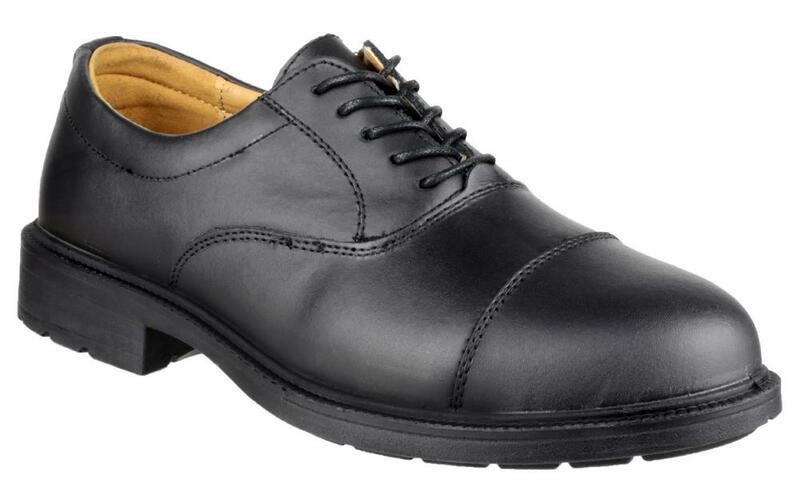 Oxford formal style suitable for professional use. 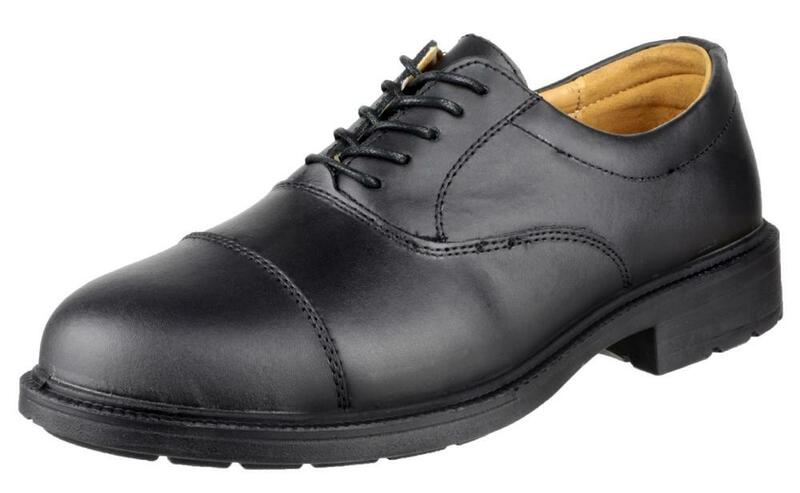 Fashioned with a smooth mono-black leather upper. Perforated eyelets and Padded collar for a more comfortable fit. Steel toe cap protection tested to 200 joules impact and Penetration resistant composite midsole plate tested to 1,100 Newton. Dual density PU sole lightweight yet hardwearing and ideal for use in a variety of environments. 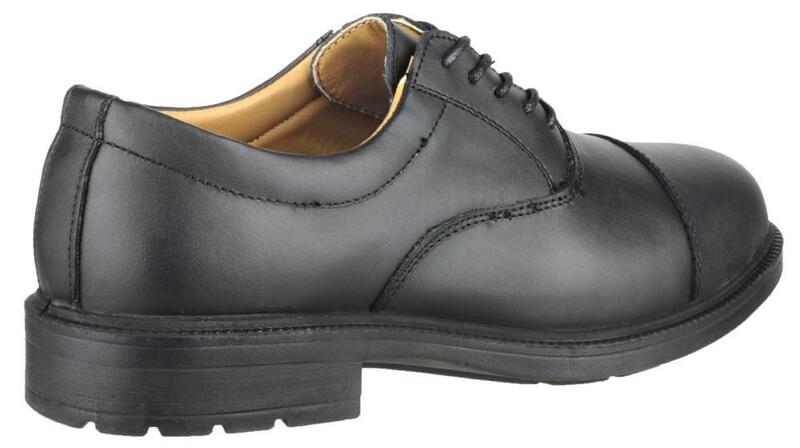 Amblers FS43 Lace-Up Work Uniform Safety Shoe conforms to: ISO20345 S1-P SRC. Standard 200 joule toe-cap protection, Closed heel, Antistatic and Energy absorption around heel.